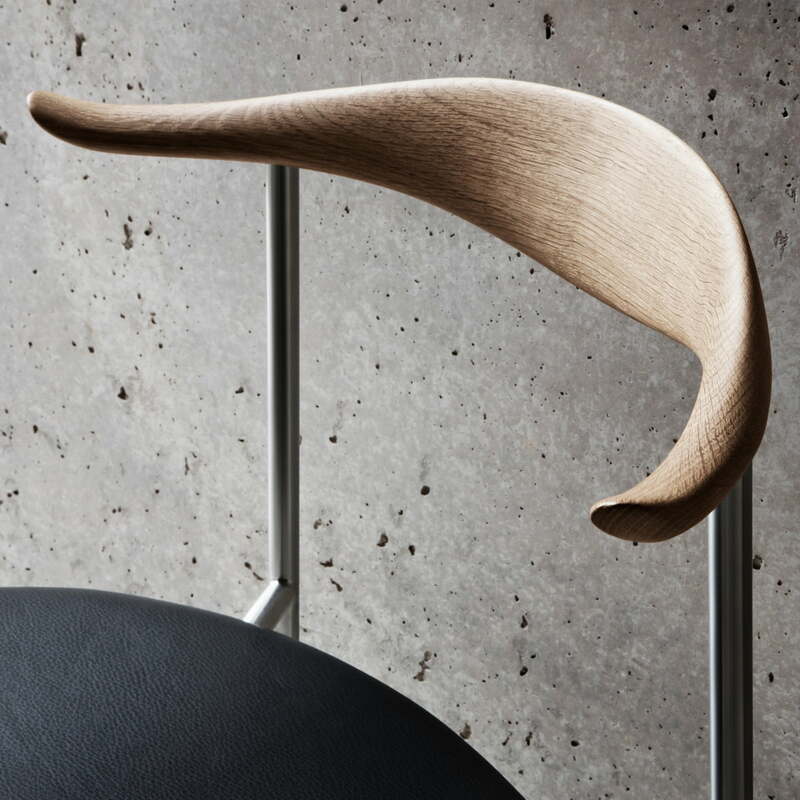 In 2014, the CH88 chair was re-editioned by Carl Hansen on the occasion of the 100th birthday of the designer Hans J. Wegner. 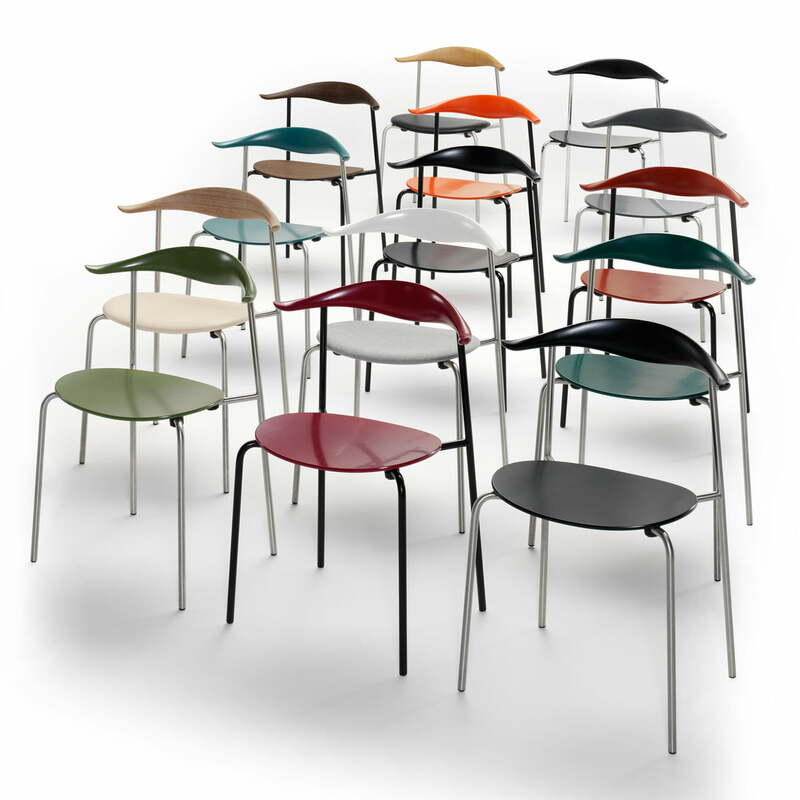 Until then, the iconic chair existed only as a prototype, however its shape was known outside the borders of Denmark. With the CH88 P, Carl Hansen has designed a chair, whose style is characteristic of the designer: in 1955 Wegner was also inspired by organic, soft shapes, which he converted into a timeless and iconic design and which became a classic. The CH88 P is available in many different designs, which is why in terms of the look, as well as with regard to the possibilities of its use makes the chair to a versatile object n the most diverse living and public areas. 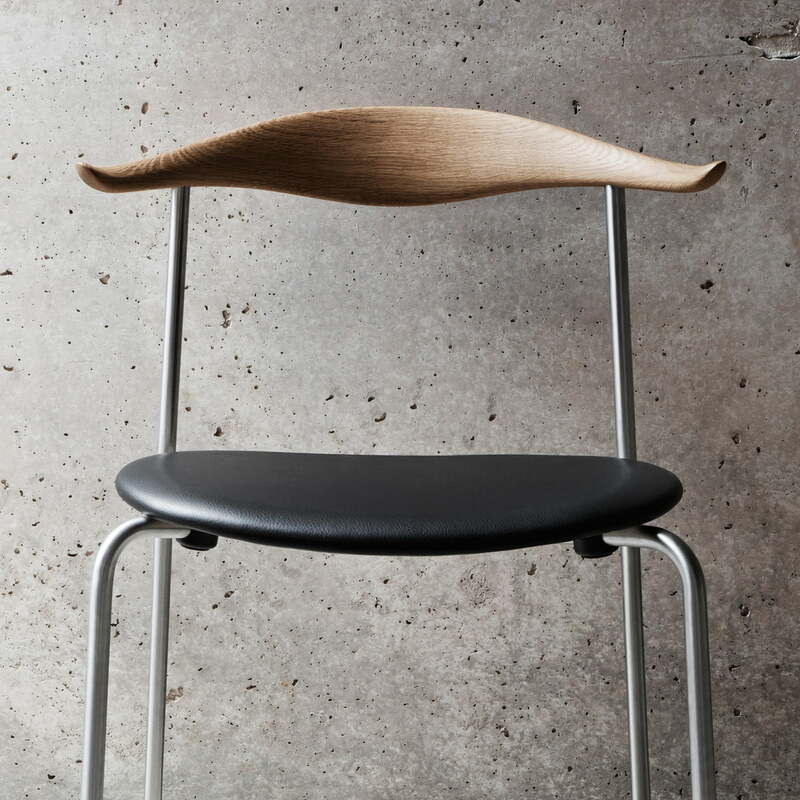 The characteristic backrest made from steam-bent wood does not only support the back, but offers also a natural storage place for the arms due to the gently curved ends. 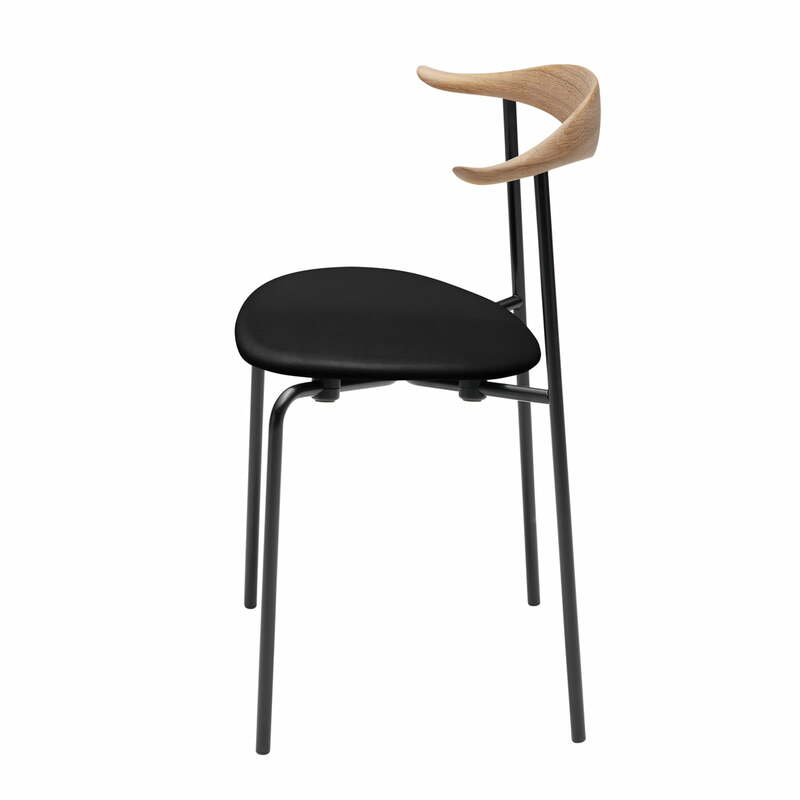 The oval-shaped seat of CH88P is fixed on a steel rack with straight legs. Thanks to the combination of materials in conjunction with a minimalist design language, a light appearing chair is created in which natural forms are combined with technical precision. Due to its stackable design, the new edition of the Carl Hansen CH88P chair offers an additional advantage. Group image of the stacked CH88P by Carl Hansen. 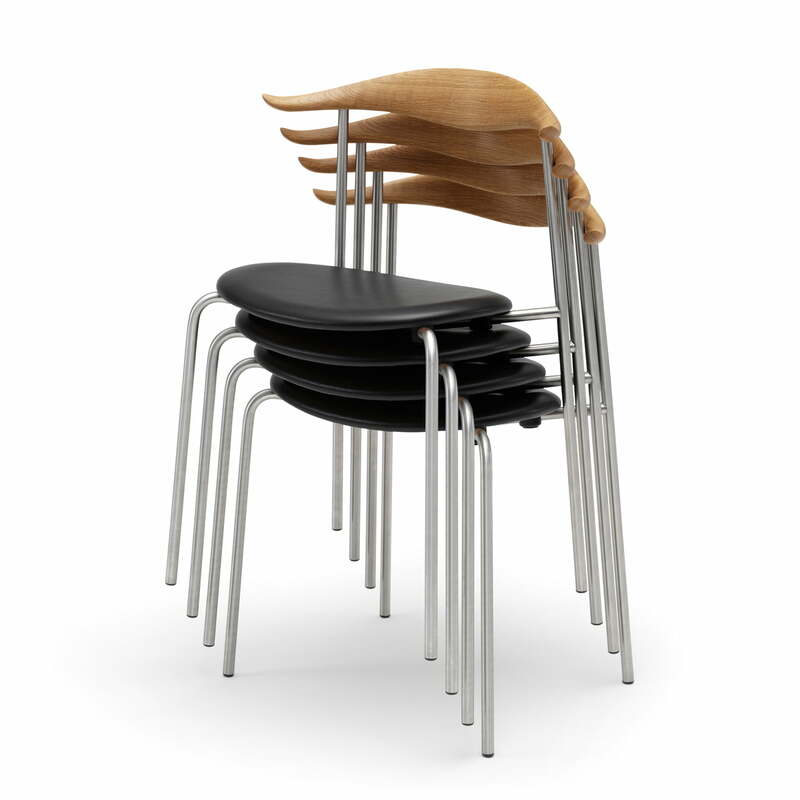 The chair made of wood and steel is not only stylish but also up to 5 chairs stackable and this way, space-saving. 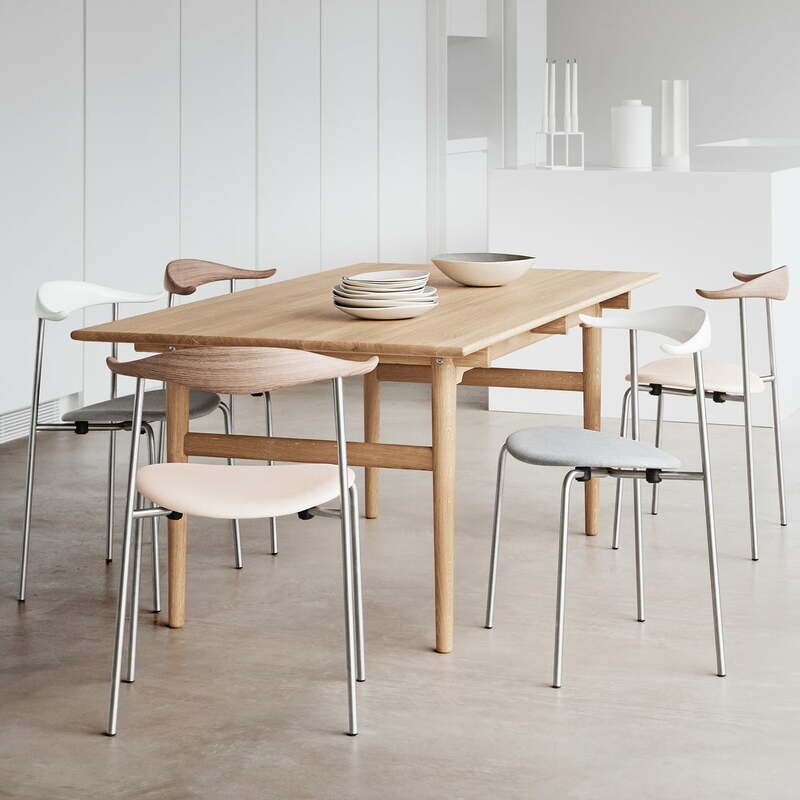 In 2014, the CH88P chair was re-editioned by Carl Hansen on the occasion of the 100th birthday of the designer Hans J. Wegner. 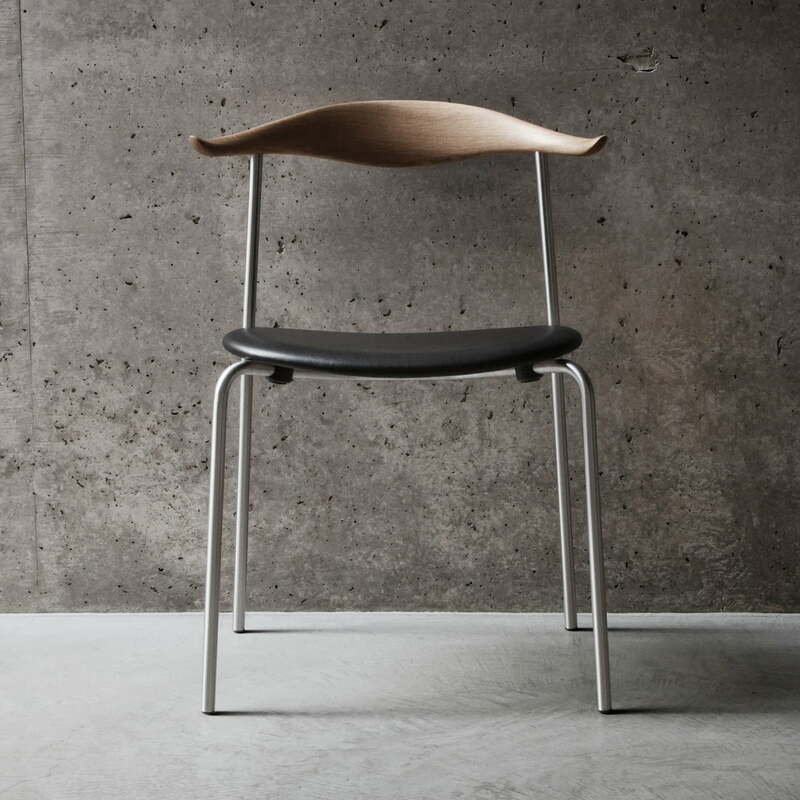 Until then, the iconic chair existed only as a prototype, however its shape was known outside the borders of Denmark.